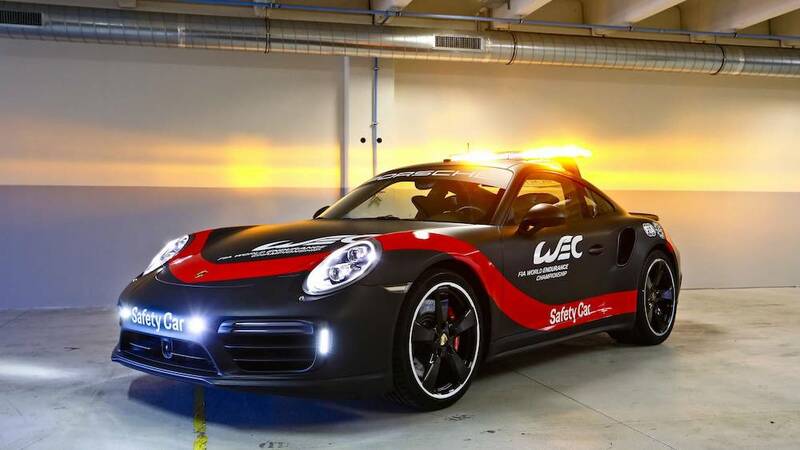 From now until 2020, the Porsche 911 Turbo will be the safety car for the Sports Car World Endurance Championship (WEC). 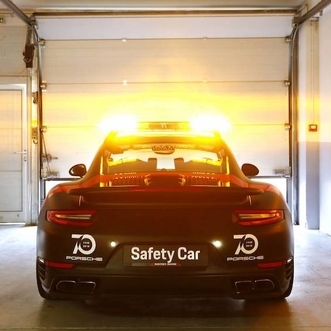 Technologically, the safety car corresponds largely to the production vehicle. 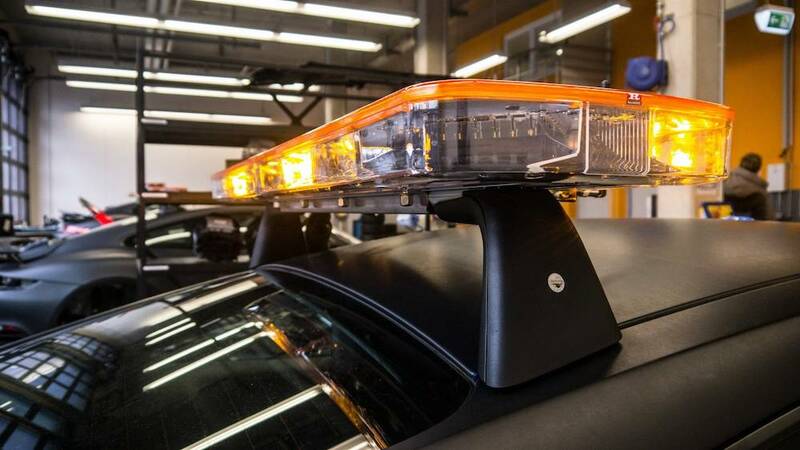 Only a few race-specific modifications were added, such as the light bar on the roof and a radio for contacting the race director, with the brakes and suspension optimized for the racetrack. 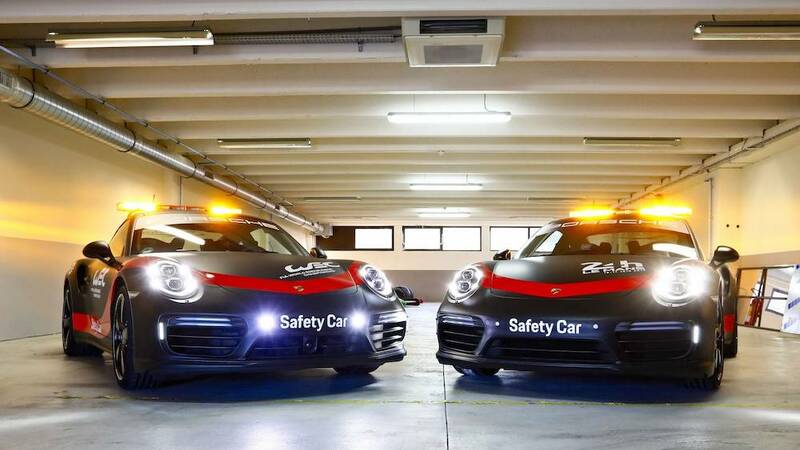 Porsche not only supplies the safety car for the FIA WEC, including the 24 Hours of Le Mans, until 2020, but also provides eleven intervention vehicles. 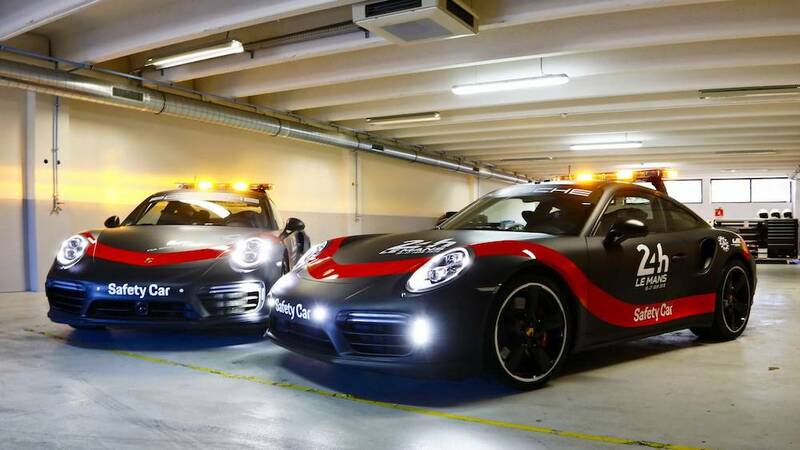 Two Porsche 911 Turbo will travel as safety cars to all WEC rounds worldwide. 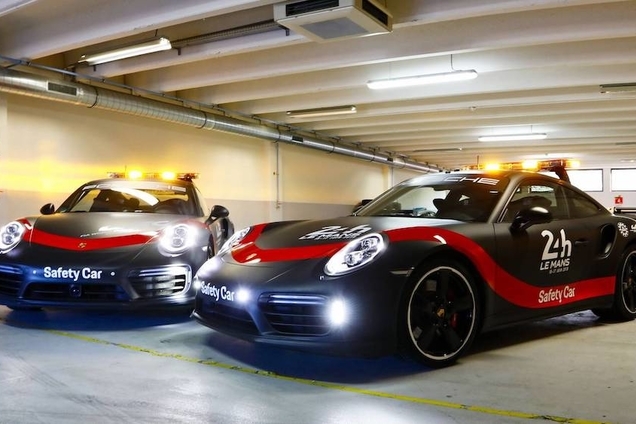 Three 911 Turbo head to Le Mans as permanent vehicles. 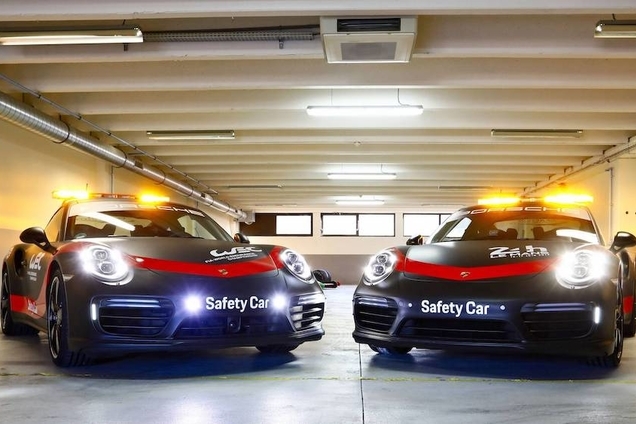 Furthermore, various Porsche models are provided for motor racing medics and track safety personnel. 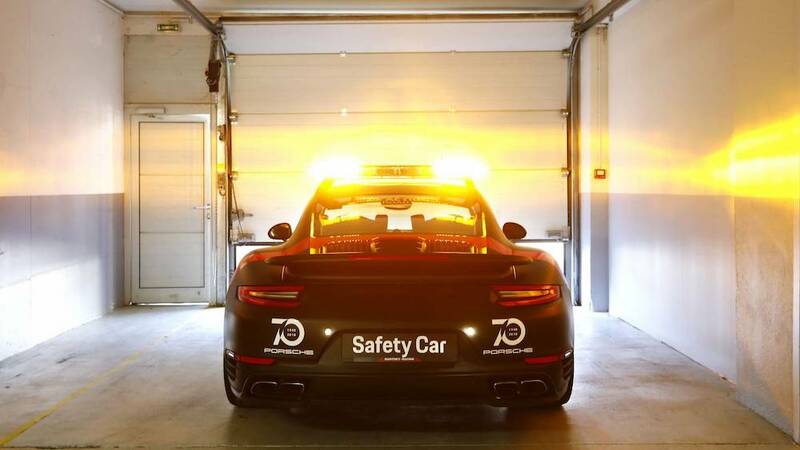 The race director deploys the safety car whenever the field needs to bunch up in the event of dangerous situations. 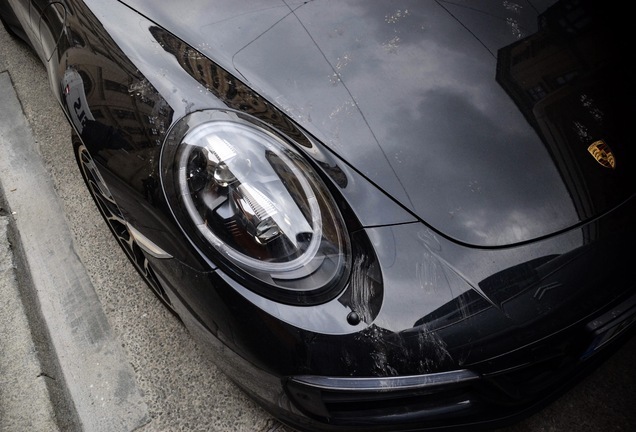 The matte-black design with glossy red stripes is modelled on the Porsche emblem design of the factory race cars. 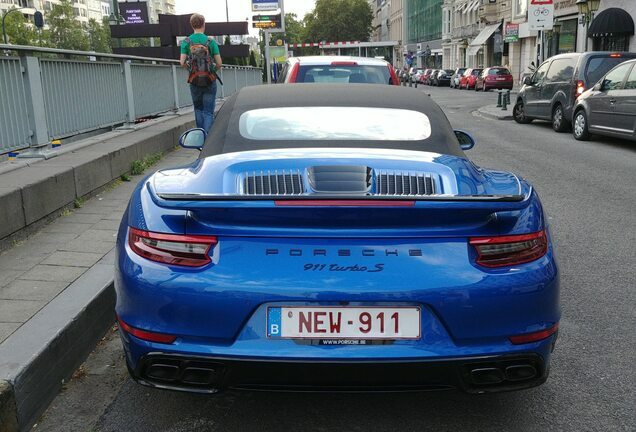 The 911 Turbo production vehicle possesses the ideal prerequisites for this task: The 3.8-litre six-cylinder engine catapults the Turbo to a top speed of 320 km/h, with the ex-works Sport Chrono Package ensuring the best possible intermediate acceleration. 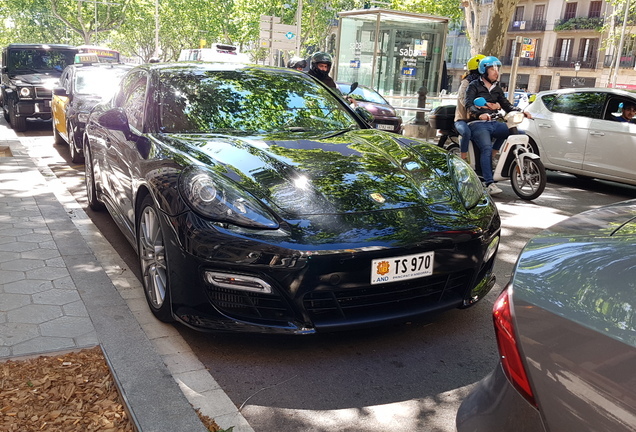 The 911 Turbo generation’s close affiliation to motor racing is also highlighted by the way the seven-speed PDK dual-clutch transmission is operated: In manual mode, the shift lever is actuated like in a race car. 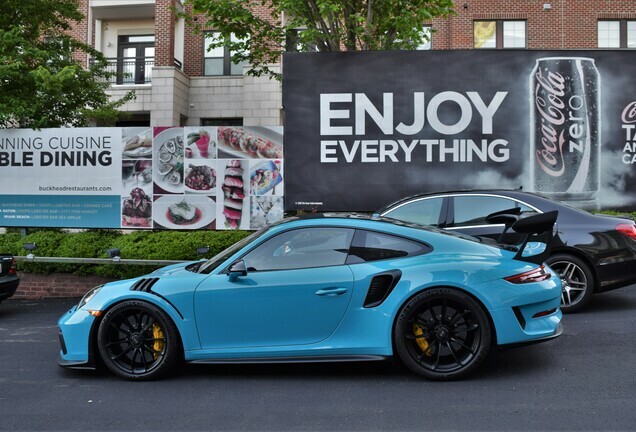 Paddle shifts mounted on the steering wheel are another standard feature. 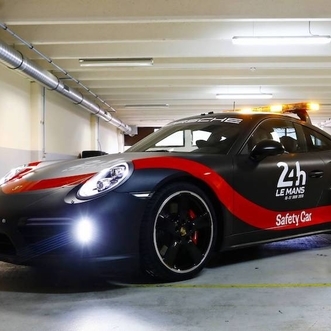 For its racetrack job as support to the World Endurance Championship, the vehicle is fitted with Michelin Pilot Sport Cup 2 tyres on standard 20-inch rims. 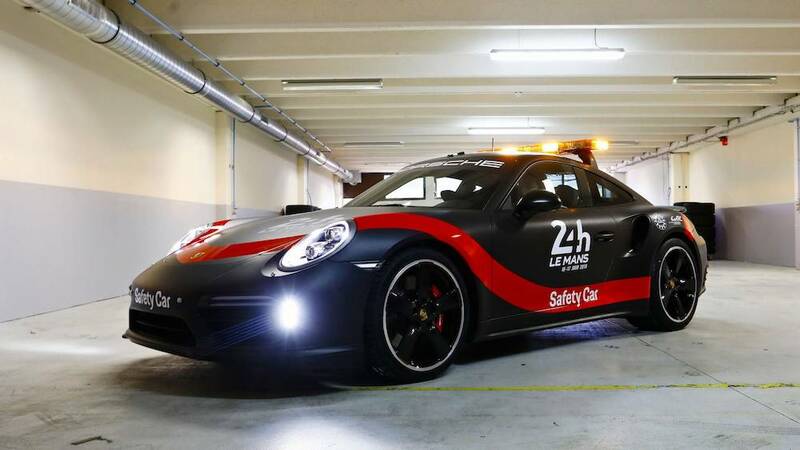 Full-shell racing seats with six-point harnesses for the driver and front passenger, a monitor to display track signals, a radio to contact the race director, a signal light system on the roof as well as flashing LED lights at the front and rear have been added to the intervention car for its racetrack duties.